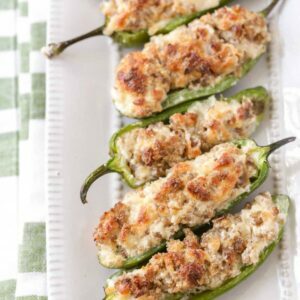 These sausage stuffed jalapeños are also filled with cream cheese and baked to perfection. 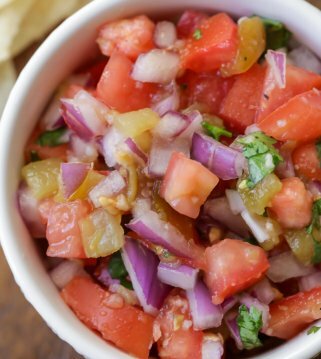 Trust us when we say they’re a must-have appetizer at your next party. We love food, and we especially center most of our family get together and parties around the menu. At almost every function, we love to have appetizers. That’s mostly because they’re simple, delicious and everyone loves them. 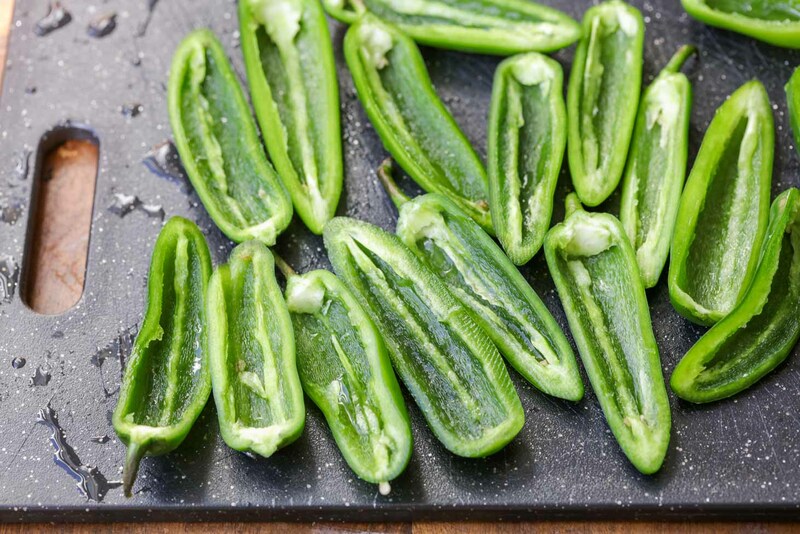 Today, we wanted to share a recipe for stuffed jalapeños – they have become one of our favorite appetizers and we were reminded about this when we made them last week and had them devoured in about 2 minutes. Since the peppers are seeded in this recipe, there isn’t much spice – that is unless you use spicy sausage or add some heat to the cream cheese mixture which is possible. We thought they were perfect as is using pork sausage. Let’s begin by saying that the combination of sausage and cream cheese is better than anyone can imagine. 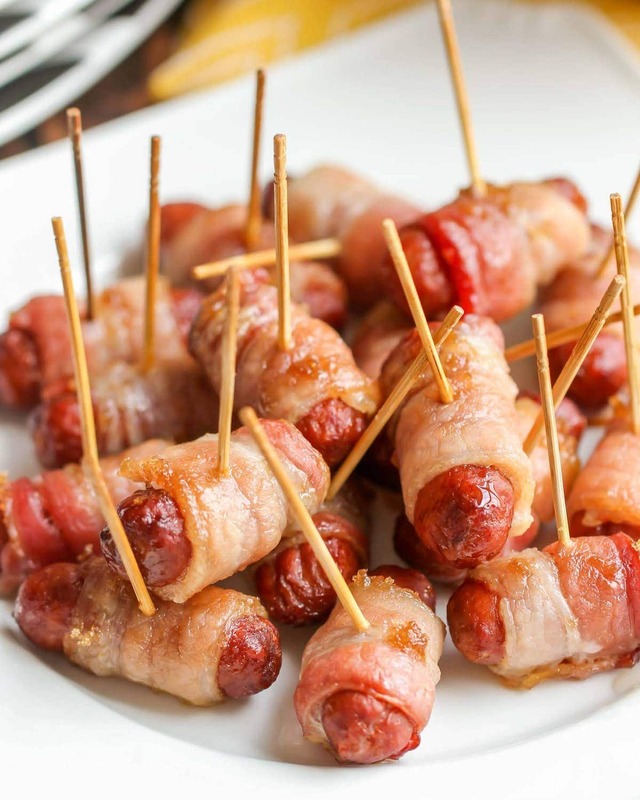 In fact, we love the combo so much we’ve used it in several recipes, including Crescent Sausage Bites and Crescent Roll Sausage Bake. It’s delicious! Before adding the cream cheese, you will make sure you cook your sausage. Again – we like pork sausage but you can also use spicy if you want some heat in your pepper. While your sausage is cooking, cut each jalapeño pepper in half, length-wise and seed the peppers. Set aside. 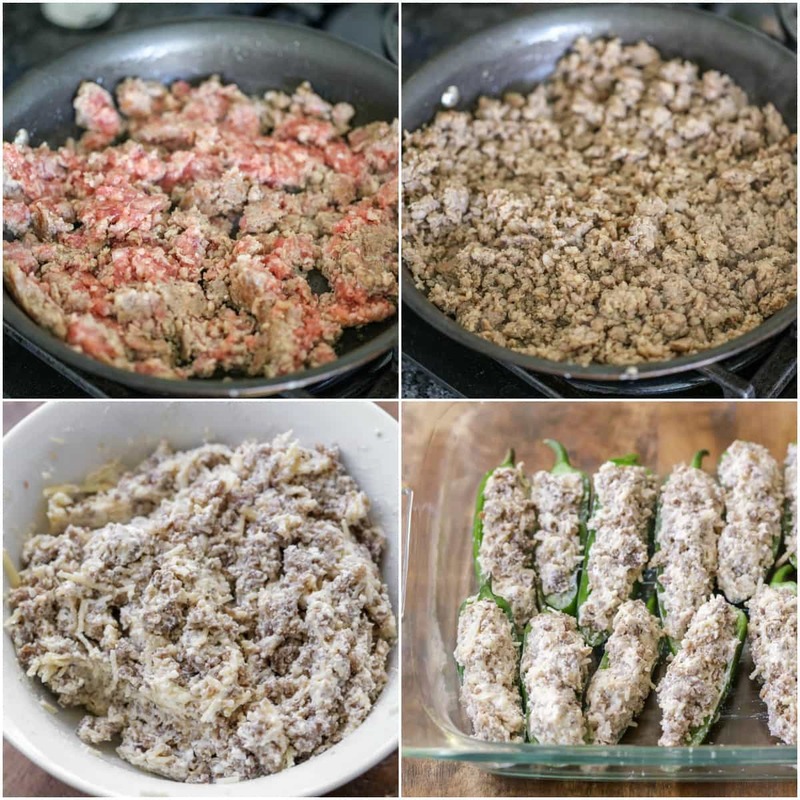 In a medium bowl, combine your sausage, cream cheese and Parmesan cheese and mix well. Fill each halved pepper with the sausage and cream cheese mixture and place in a baking dish. Bake at 425 for about 20 minutes. Serve on it’s own or with ranch dressing. Stuffed Jalapeño Variations: This recipe is so easy to change up based on what your meat or cheese of preference is. If you aren’t much of a sausage fan, chicken and bacon both work great in this recipe. Also, if you want to change up the cheese mixture, you can use your favorite cream cheese and shredded cheese for the filling. How to fry stuffed jalapeños? 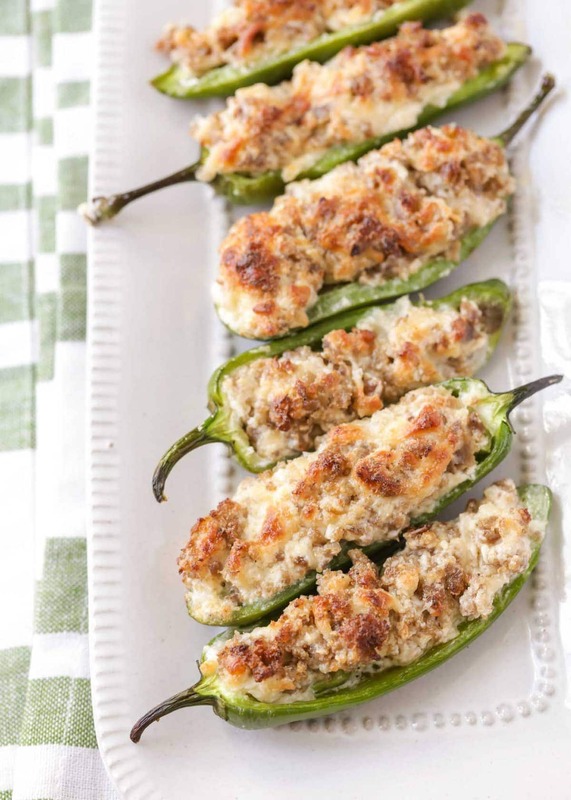 Frying these stuffed jalapeños turns them into jalapeño poppers. You can do this by making this recipe as directed, except stopping before you bake. To fry, place 1 cup milk in a bowl and 1 cup flour in a bowl. Dip the stuffed jalapeños into the milk and the into the flour, then back into the milk. From there you will dip the peppers into a bowl of breadcrumbs making sure they are coated. Then fry in a medium pan for a few minutes each side or until it’s golden brown. Can you grill stuffed jalapeños? Yes, you can! Just make the stuffed peppers as directed and place on grill rack. Cover and grill peppers for about 8 minutes or until the bottoms of the peppers are charred and the cheese mixture is slightly browned. How to store stuffed jalapeños? We rarely have leftovers of these sausage stuffed jalapeños, but if we did, we’d place them in an air-tight container and place in the fridge for 2-3 days. Reheat in the microwave or on low in the oven. We love this recipe and can’t wait to have them again. 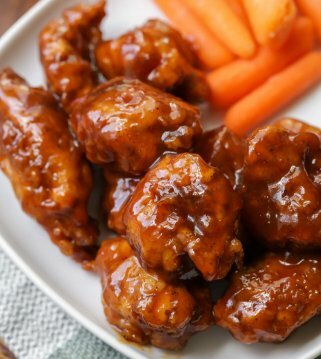 They’re very simple and always a hit! 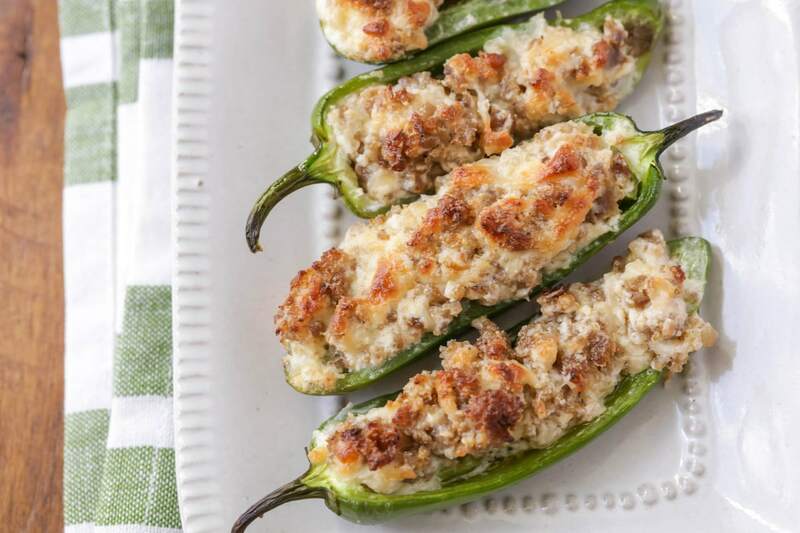 These sausage stuffed jalapeños are also filled with cream cheese and baked to perfection. 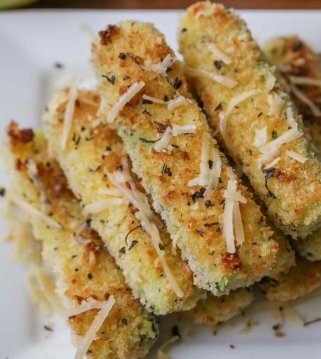 Trust us when we say they're a must-have appetizer at your next party. Cook sausage in a skillet over medium heat until evenly browned. Drain grease. In a bowl, mix the sausage, cream cheese, and Parmesan cheese. Spoon about 1 TB sausage mixture into each jalapeño half. Arrange stuffed halves into a baking dish. Bake at 425 for 20 minutes, until bubbly and lightly browned. 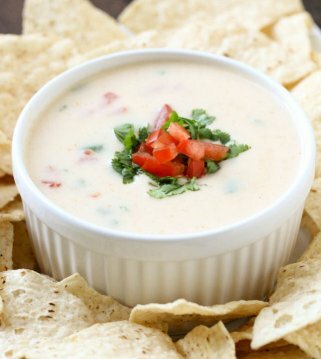 Serve with Ranch dressing. 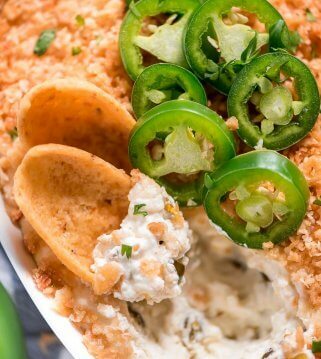 Thank you for this recipe I love jalapenos. They are so delicious!!! I hope you like them!! Thank you for stopping by! My Husband would love these so much. He doesn’t get to have many spicy foods because of the kids, and he would probably love them as an appetizer for Father’s Day. Thanks so much for sharing! That would be a great day to give him, his own special recipe! These are so good and definitely have a kick to them:) Thanks for stopping by! They are super delicious!! I hope you give them a try!! Thanks so much! Well that sounds like the perfect flavor combo for sausage. Looks wonderful! They are so good!!! It’s a great combo for sure! Thanks for stopping by!